We're here to help. And we're thankful for this chance to partner with you as you teach teenagers God's Word. 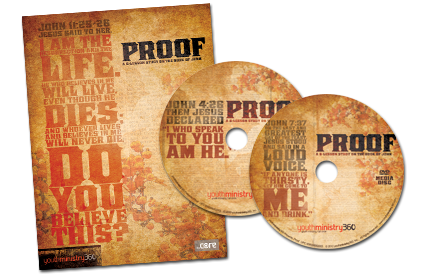 If you have any questions about preparing for or teaching PROOF, call us at 888.969.6360, email us at customercare@youthministry360.com, or live chat with us by using the CLICK TO CHAT option at the top of this page.